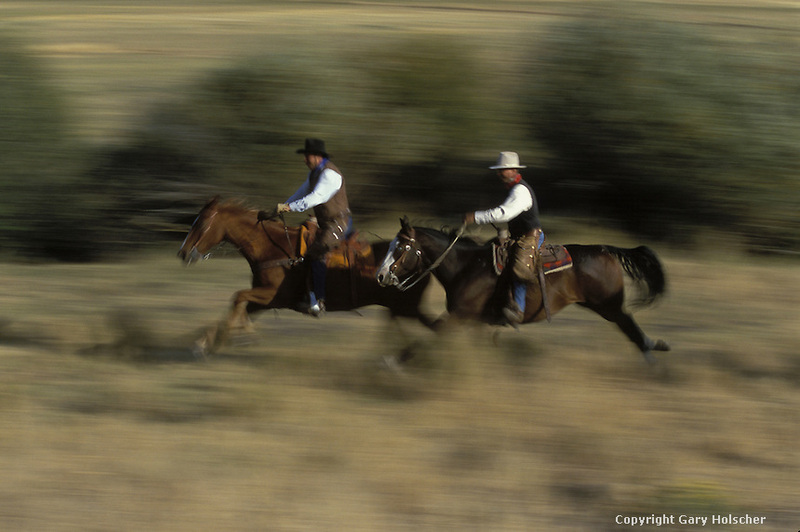 Cowboys on running horses, blurred. Ponderosa Ranch. Senaca OR.